The Mercedes-AMG Project One heralds a new era in the hypercar reign. What started just a few years ago with the McLaren P1, Ferrari LaFerrari and Porsche 918 Spyder is now a new standard in showcasing the latest automotive technology and engineering. The Project one is the latest 1,000-horsepower super machine to enter the fray. Power is delivered from a F1-derived 1.6-liter V6 with an electrically-powered turbocharger. In total, the Project One boasts four electric motors. One for the turbo, one assisting the engine, helping to make more than 600hp to the rear wheels and two additional electric motors at each of the front wheels. 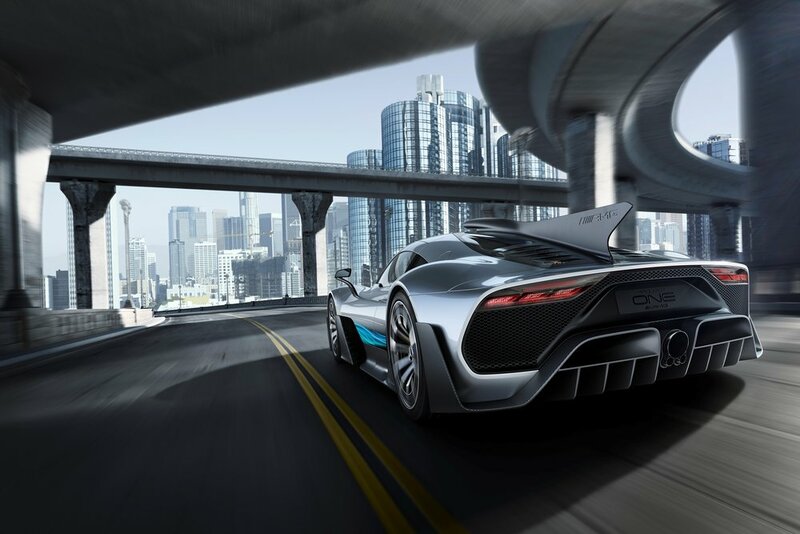 Details on torque are scarce, but we do know the Project One will have a top speed of over 217 mph with an estimated zero-to-60-mph time of around 2.6 seconds. Everything about the Project One is aimed at performance. The wide mouth scoops up the air and sends it through the hood and up and over the car. Up top is another F1-inspired element that feeds air directly into the edge, which then morphs into a shark find that is designed to aid the car in cornering. A retractable wing out back completes the hypercar appearance. The Project One is expected to go on sale sometime next year and all 275 examples are said to already be spoken for.